An Israeli member of parliament has been threatened by Hamas after hurling verbal attacks against families of Palestinian prisoners on December 25. 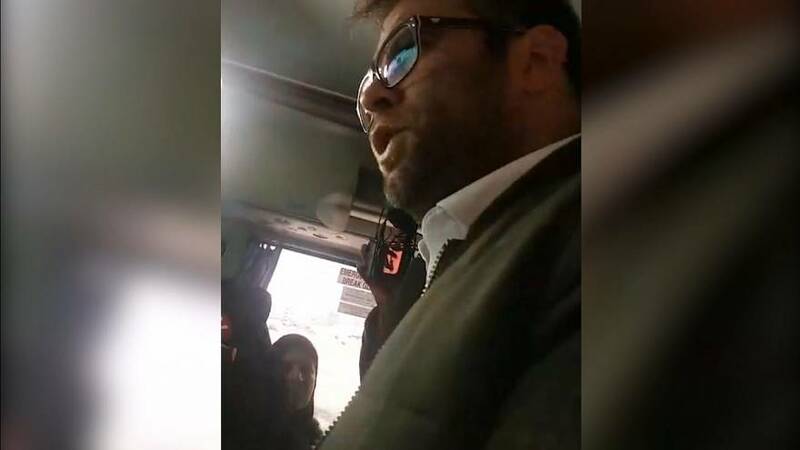 Oren Hazan, an MP of Prime Minister Benjamin Netanyahu’s Likud Party, had shared Facebook Live videos of him boarding buses that carried Palestinian families traveling to see their imprisoned relatives. “You come to visit the scum who are sitting here in prison, whom you see as your family members,” he says. But Hazan did not back down. “She educated her son to murder and hate. For the likes of her, I have no manners, Hazan tells the translator. A day before the incident, activists organising the bus’ interception said the stunt was a protest to demand quid pro quo from Gaza. One organiser, Yoel Marshak, told Arutz Sheva, "We get on the bus and explain to them in Arabic the need for reciprocity. It is inconceivable that they can visit their sons and the families of our missing people do not know what their situation is." Shortly before boarding the bus on Monday, Hazan shared a photo to Twitter waving an Israeli flag and said he was waiting for the bus of the families, which he called “animals”. The controversial Knesset politician, who broke rank to endorse Marine Le Pen in the French presidential election earlier this year, is from the Israeli settlement city of Ariel, which the international community has deemed illegal—though Israel insists the settlement is legitimate.